With the delivery of this facility, the park is fully developed. “HP TRONIC’s business requires custom solutions that Prologis, with its professional consultancy abilities, was able to provide. 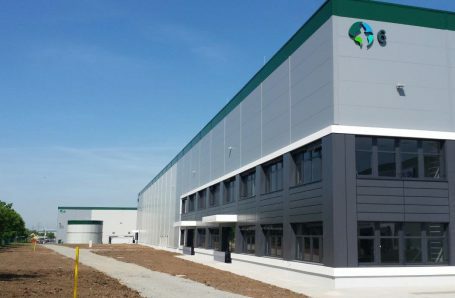 HP TRONIC’s BTS facility reflects increasing demand for tailor-made logistics space in Central Europe, and it offers premium distribution access to the region’s growing markets,” says Marek Müller, director, development and leasing, Prologis Czech Republic. The building meets the stringent requirements of the storage technology that HP TRONIC, the EURONICS retail chain operator that will merge with giant electronics retailer DATART following a shareholder decision, uses for the inventory of its wide range of home appliances, consumer electronics, computers and mobile phones. Building 6, dedicated to enhancing the customer’s operations, includes features like a built-in mezzanine, 12-metre clear height and increased floor load bearing capacity to accommodate specialized racking systems. Other adjustments include air ventilation installation, lighting and heating improvements, as well as modifications related to fire safety. Office and social premises were customized for HP TRONIC. Prologis Park Prague-Jirny comprises seven buildings totaling more than 330,000 square metres of distribution space. It is located eight kilometres east of the Prague city border with direct access to the D11 motorway, which enables efficient distribution to local markets and neighbouring countries. Prologis is a leading provider of distribution facilities in the Czech Republic with more than 1 million square metres of logistics and industrial space (as of 31 March 2017).